Home Boxing Ortiz v Berto II – Time for a Rubber Match? Ortiz v Berto II – Time for a Rubber Match? Much-anticipated rematch of the Ring Magazine 2011 Fight of the Year – Ortiz v Berto – happened on April 30th in Carson, California, USA. The Ortiz v Berto rematch took its place at The StubHub Center. The fight was very different from their first encounter. Ortiz was much more cautious. He was boxing more rather than rushing in. This, probably, played more to Berto’s style. Ortiz was cut in the first round by an accidental headbutt. This often happens when orthodox and southpaw fight. The cut didn’t seem to bother Ortiz a great deal as he was able to drop Berto with a straight left in the second round. The challenge ended in the first half of the Round 4. Berto caught Ortiz with one of his trademarks, devastating uppercuts. Although still obliviously dazed and with no legs under him Ortiz, was able to get to his feet and attempt to keep fighting. Berto was able to punish Ortiz on the ropes and put him down again. This time when Ortiz rose to his feet, the experienced referee Jack Reiss stopped the fight. Afterwards Ortiz has been unfairly targeted on social media. The comment around having no heart, and even bottles thrown at him from the crowd… I really don’t think many people in boxing could have finished a fight on distance after taking an uppercut like he did. I think there is an exciting opportunity for a rubber match between these two fighters. The possibility of the winner to be used as a name fighter for someone like Danny Garcia, Keith Thurman, Tim Bradley or even Kell Brooke, to further their career. Kyle Kent is a boxing practitioner from Perth, Australia. 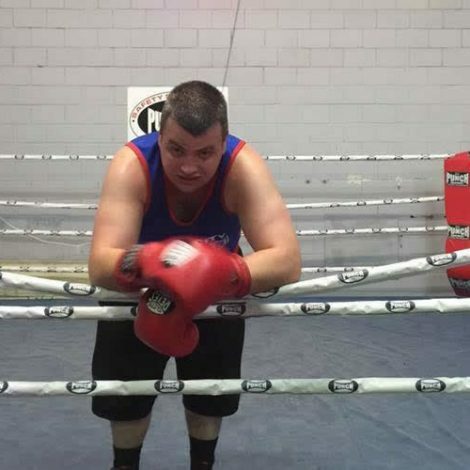 He is a columnist at FIGHTMAG, who writes about Australian and world boxing in the Boxing Banter column.